Although it may have taken 17 years to repeal the sustainable growth rate formula, according to Lemeneh Tefera, MD, MSc, Medical Officer at the Center for Clinical Standards and Quality in the Centers for Medicare & Medicaid Services (CMS), it was, surprisingly, a bipartisan bill. 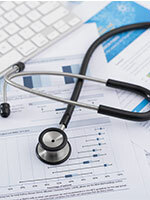 The first step toward this reali­zation is the Medicare Access and CHIP Reauthorization Act (MACRA), which was passed into law in April 2015 and provides a short-term “phase-in” period to a new payment system for reimbursing Medicare physicians. CMS quality improvement programs, including the Physician Quality Reporting System (PQRS), the Value-Based Payment Modifier, and the electronic health record (EHR) incentive program (ie, meaningful use), will continue until 2019. Separate application of payment adjustments under the PQRS, Value-Based Payment Modifier, and the EHR Meaningful Use will cease on December 31, 2018. According to CMS, eligible professionals, including physicians, physician assistants, certified registered nurse anesthetists, nurse practitioners, and clinical nurse specialists can participate in the Merit-Based Incentive Payment System (MIPS) or meet requirements to be a qualifying participant in the Alternative Payment Model. “MIPS participants can receive positive, negative, or zero payment adjustment, and if criteria are met, Alternative Payment Model participants can receive 5% incentive payment for 6 years,” said Dr Tefera. Clinical practice improvement activities, 15%. The composite performance score will then be used to determine and apply a MIPS payment adjustment factor starting in 2019 and onward, according to Dr Tefera. Once a MIPS composite performance score is received, a performance threshold will be established based on the mean or median of the composite performance scores during a previous period. “The MIPS incentive payment formula is relative to threshold,” Dr Tefera said. Eligible professionals with a performance score below a certain performance threshold will receive a negative payment adjustment factor between 0 and a negative of the applicable percentage. Eligible professionals “with scores below a number equivalent to one-quarter of the performance threshold receive maximum reduction,” he said. Inversely, eligible professionals with a performance score above the performance threshold will receive a positive payment adjustment factor, with an additional adjustment for exceptional performance. "Beginning in 2019, $500 million is available each year (for 6 years) for EPs with scores above additional performance threshold,” said Dr Tefera. “In the near future, based on the MIPS composite performance score, physicians and practitioners may receive a 9% bonus on their payments, or a 9% penalty….That’s reason enough to pay attention,” he added. The new incentive payments will be for physicians receiving a significant share of their revenues through an Alternative Payment Model that involves financial risk and quality measurement. Eligible professionals or groups of eligible professionals meeting the criteria to receive an Alternative Payment Model incentive payment are excluded from the requirements of MIPS. Alternative Payment Models are defined as a CMS Innovation Center demonstration, a Medicare Shared Savings Program (ie, a Medicare accountable care organiza­tion), or certain other demonstration programs. “Beginning in 2019 and for 6 years, participating in an Alternative Payment Model offers a 5% incentive payment made in a lump sum on an annual basis, and a higher baseline update in 2026 and beyond,” said Dr Tefera.